The new Georgian social media campaign aimed at reaching out to Abkhaz society is an example of a futile activism informed by nationalist narratives which are being used by Georgian political elites to distract society from the core issue of unresolved ethnic conflict and their inability to address it. Earlier this month, a new Georgian social media campaign aimed at reaching out to Abkhaz society was launched. An anonymous group that claims to be an independent group of activists created a website, where visitors can post pictures of themselves adorned with the word mshybzia, the Abkhaz word for ‘hello’. The authors of the website write that it’s been over 8 thousand days since the two societies stopped greeting each other, so now it was time to collect 8 thousand pictures with a mshybzia on them in order to make up for it. Judging from the number of posts on Facebook, the campaign became a success in Georgia. It was a peace-building initiative that resonated with the Georgian public. Many people endorsed the campaign by posting their pictures and declaring their affection towards the Abkhaz people. Even those who didn’t post pictures, later defended the campaign when things began to turn sour. Things did turn sour when it became known that young Abkhaz people either ignored the campaign or joined a counter-campaign with the word abziaraz — ‘goodbye’. In Georgia, this reaction was received with surprise. Some Georgians remained in denial and posted statements on Facebook that they ‘loved’ Abkhaz no matter what. There were others who called for full disengagement — as in ‘why should we greet them if they don’t greet us back?’ As always when the Abkhaz–Georgian matters are discussed on social media, there was occasional sarcasm and vulgarities. Nobody seemed interested in trying to understand the reasons why the Abkhaz rejected this gesture of goodwill from their Georgian ‘brothers’. This image allegedly depicting two Abkhaz young women went viral in Georgian social networks two years ago as a proof that Abkhaz do want to live under Georgian jurisdiction. While it’s unclear where the picture was taken and by whom, it has been used to weave a misguided nationalist narrative. Caucasus Echo’s columnist Tengiz Ablotia, a Georgian from Sokhumi, compared the mshybzia initiative and the wider Georgian policy towards Abkhazia to a hysterical woman shouting ‘Come back!’ to her former husband 24 years after the divorce. Both this current initiative and the general policy are humiliating for their actors in their detachment from reality and near-total lack of awareness on the dynamics of this conflict. In April, Georgia forced an Abkhazian tourist exhibition at a tourism fair in Montenegro to shut down because it presented Abkhazia as an independent state. In Georgia, the Abkhaz people have always been an addition to Abkhazia — a cherry on top of the unresolved conflict with Russia. Almost each time I tell someone I write reports from Abkhazia, I have to sit through patronising explanations of how Abkhaz is a dialect of Georgian (it’s not) or how Abkhaz came down from the mountains two hundred years ago (they didn’t) which is proven by the fact that they don’t have a word for ‘sea’ in their language (they do: amshyn). The legalistic narrative on Russian occupation created a situation in which Abkhaz — other ethnic groups inhabiting Abkhazia have been entirely left out from the general discourse — have been denied agency in the conflict. While the Georgian–Russian conflict dynamics need to be discussed, there is virtually no focus on the reasons why at some point something became irreparably broken between Abkhaz and Georgians. In 2007, the government of United National Movement endorsed another futile campaign called Kokoyty, fændarast! 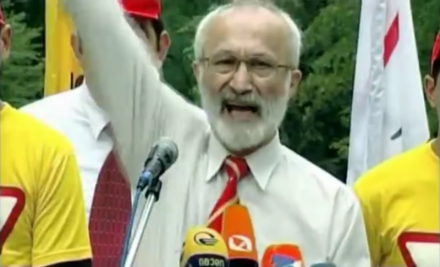 (‘Farewell, Kokoyty!’) which called the then-president of South Ossetia, Eduard Kokoyty to step down, so Georgian and South Ossetian peoples could live together in peace again. The campaign caused a massive backlash in South Ossetia and gained a darker dimension in Georgia by the similarity of the Georgian pronunciation of the Ossetian word fændarast to a Russian homophobic slur. 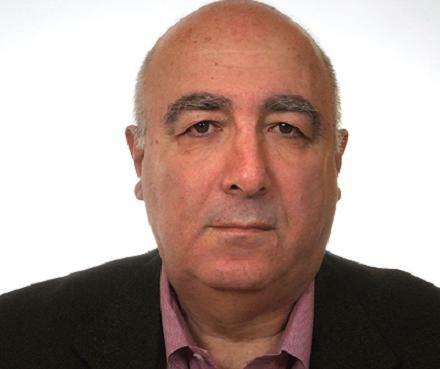 The ethnic Ossetian leader of the movement, Vladimir Sanaqoty (Sanakoyev) fled to Russia in 2011 and declared that he acted on the FSB’s orders. The mainstream understanding of the tragic war of 1992–1993 has been informed, or misinformed, by the narrative of brotherhood between Abkhaz and Georgians which suddenly took a 180-degree spin due ‘a mistake’ or ‘a Russian provocation’. Tengiz Ablotia writes correctly that this opinion was spread mostly among Georgians who had never seen an Abkhaz person, unless from afar, resting on one of the beaches in Gagra or Sokhumi. For most Georgians, Abkhazia has indeed always been about the territory and not the people, who lived there together side by side with them: Abkhaz, Armenians, Greeks, Russians, and others. Off the record, there are Abkhazian Georgians who tell me directly: we never treated Abkhaz well on their own land. The fact how little the issue of systemic injustices related especially to distribution of resources has been studied serves as a proof of how the Georgian and Western understanding of this conflict is dominated by the myth of it being an anomaly in the long history of so-called ‘brotherhood’ between Abkhaz and Georgians. Similarly, we know very little about the agency of the Georgian population of Abkhazia before and during the conflict, the majority of whom have been displaced by the conflict and instrumentalised by the Georgian authorities to advance their agenda of returning Abkhazia to Georgia. It doesn’t mean that only Georgians are to blame; the spiralling conflict brought upon ethnic cleansing of Georgians living in Abkhazia and there is an enduring Abkhazian nation-wide consensus on justifiability of having the basic rights of the inhabitants of Gali (Gal) district violated on a daily basis. The Abkhaz national mythology is also a very strong factor impeding meaningful engagement. However, the aim of this article isn’t to trade blows. It is meant to serve as a retrospective and a one-sided search for a catharsis, hoping a similar one will one day come from Abkhazia as well. 24 years after the ‘divorce’, the majority of Georgians still live in a world of images from an idealised non-existent past — a political tool used by elites to distract society from their inability to deliver on the promise about ‘restoring territorial integrity’— the very slogan which they use in order to come to power. While in the most simplistic liberal understanding, the gestures of goodwill like building the ‘tourist paradise’ of Anaklia and a shopping centre right at the administrative boundary line, or providing free healthcare to Abkhaz are all seemingly morally justifiable, there are several dimensions which demonstrate that these actions are far more problematic on a structural level. First of all, these projects are only superficially about encouraging Abkhazia to become part of Georgia again. As the authorities are entirely unable to do that due to the open wound of an unresolved ethnic conflict, they use this policy combined with placing the entire blame on Russia to conceal both the wound and their own powerlessness. Initiatives such as building a supermarket at the Enguri checkpoint are meant to perpetuate the myth that Abkhaz will forget ‘the mistakes of the past’ if Georgia offers them good economic conditions. They won’t. The real justification of such initiatives is their internal political use. For relatively limited funds spent by the authorities, the Georgian public can believe that the subsequent governments have been working on bringing the territory of Abkhazia back under Georgian control. They haven’t, but admitting it would currently mean political suicide even for the strongest political party. Georgian political elites have been held hostage by the misinformed nationalist narrative on the conflict which they themselves created. What does matter for Abkhaz, but cannot be forged into instruments of Georgian policy, has been routinely torpedoed by successive Georgian governments, through attempting to block Abkhaz sport, cultural, and economic initiatives (only recently in Italy, Montenegro, Armenia, Turkey, and Poland). I know first-hand from my trips to Sukhumi that the backlash it creates is so great, that any potential goodwill which could be brought about through building hospitals, supermarkets, or holiday resorts near the administrative boundary line is completely lost. Another method of concealing the government’s ineptitude is to devise or encourage futile peacebuilding activities for the sake of distracting society from the core issue of unresolved ethnic conflict. 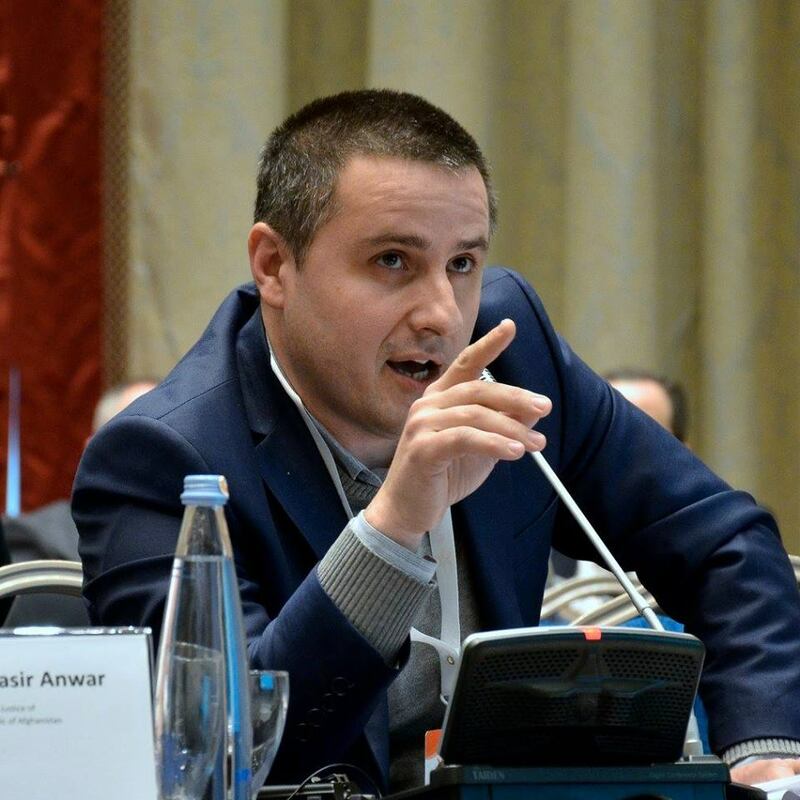 For this reason, the creation of the mshybzia campaign and its failure can be considered a result of the general Georgian political climate. It is a futile campaign that diverts people’s opinion from core issues, prevents them from asking real questions, and inhibits any kind of meaningful engagement. Such initiatives only serve to strengthen both the myth of Abkhaz–Georgian friendship and the position of the Georgian political establishment, which exploits such myths for a direct political gain. It’s time to reject those myths and begin to listen to the other side, shifting the primary focus from the territory towards the people who inhabit it. Why is it they wrote abziaraz [‘goodbye’]? What grudge do they hold? What can we learn about structural injustices in the pre-war period? What can we learn to never make the same mistakes again? How can we engage meaningfully with them? It’s a process which will take time, but only this radical discursive reorientation of public debate and policy can initiate a genuine peace process. Without it, we’re doomed to this vicious circle of political manipulation which results in channelling civil society activists’ honest goodwill into a farce.